A very rare type for Constantine. This example has even light green patina and excellent design details, with some lettering being a bit lightly struck. 18mm, 2.9gms. 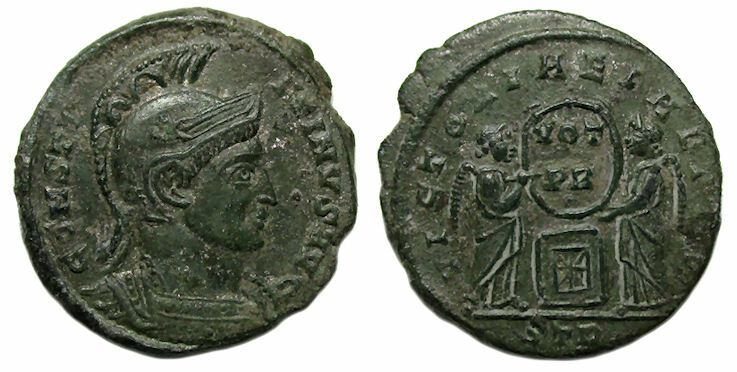 Ref: RIC VII Trier 229.